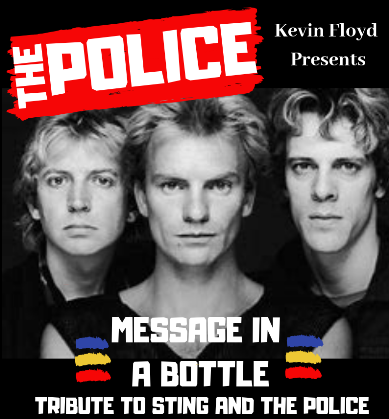 Kevin Floyd presents a tribute show to Sting and The Police showcasing Stings music over his 40 year career. The show starts with music from The Police and then moving onto Stings solo career. Audience members will enjoy all of their favourite hits like Message In A Bottle, Roxanne, Walking On The Moon and big solo hits like Englishmen In New York.Kevin Floyd is joined by Jazz musician Jumario Soppie Thyse on bass guitar and fellow jazz musician Alphonso Julius on drums. This trio of musicians have played with some of the world’s best artists and are the perfect combination to deliver a knockout show that will have you dancing on the tables!